In the last few weeks, multi-millionaire U.S. Sens. Elizabeth Warren and Bernie Sanders were engaged in a race to see who would have legislation directed at large American companies in front of the U.S. Senate before Election Day. The lawyer and academic senator from Massachusetts appears to have won, but not by much. Her bill, the Accountable Capitalism Act, if approved by the Senate and House and signed by the president, would amount to a sea-change on how large American corporations govern themselves. Before I get into the details of each bill, I find it remarkable that, with so many issues still unresolved in the U.S. Congress, these two politicians believe that it is necessary to divert the attention from Washington to the corporate board room. An example of this would be that it was only a month or so ago that platoons of Democratic lawmakers converged on Texas to inspect the detention centers for children brought into the U.S. illegally. Has Congress come close to resolving the immigration problem with meaningful legislation? Not a chance, so let’s move on to issues that can maximize publicity before the upcoming elections. The “Bezos Bill” is proposed legislation that could only have come from Bernie, with a possible exception of Sen. Warren, or the newcomer from New York City, Alexandria Ocasio-Cortez. The bill’s intent is quite clear — take from the rich and give to the poor. Specifically, if a company is not paying a livable wage to its employees, resulting in some seeking government assistance for housing, food stamps, fuel, and healthcare, the cost to the government for such assistance is to be paid for — dollar for dollar — by the company in the form of a tax. The starting point would be any company employing 500 or more employees. Of course, following Bernie’s natural progression, in time the 500 will be reduced to five employees. Sen. Warren believes that corporate America needs to change the way it manages its affairs – specifically, when it comes to relations with its owners. Not unlike Sen. Sanders, she sets the bar at companies with one billion dollars or more in revenue — in time most likely to be reduced. Her goal is to have certain corporate matters controlled not just by stockholders but by the employees, at least by 40 percent of them. This way when dividends, stock buy-backs, political donations and executive salaries are established, the employees will have a vote. I am for this under one condition that must precede the Accountable Capitalism Act: and that is for the U.S Congress to impose upon itself that all compensation, benefits including healthcare, pensions, travel, and office staffing need to be first approved by an annual special election vote where two-thirds of American voters agree to changes. Furthermore, no congressperson while in office may go around the country book signing or electioneering either for self or others without first gaining a two-thirds approval of the voters of one’s home state. Senators Warren and Sanders, with Congress having an approval rating in single digits, isn’t it time you get your house in order? Buying votes through legislation is getting old. Let’s punish the Rich, they don’t deserve what they have and people doing meaningless jobs need more money, they cannot afford (I-phones, Tats, Cigs ) on minimum wage, so they get food stamps, give me a break. 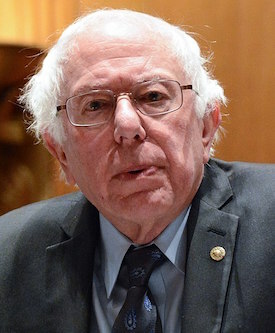 Hey Bernie how many of your staffers use Amazon in support of Mr. Bezos Business Model? ?